NOTE: This interview was originally printed as a beautiful 6-page spread in New Zealand’s Nocturne Magazine, Issue #5. We are proud to present it online for you here! 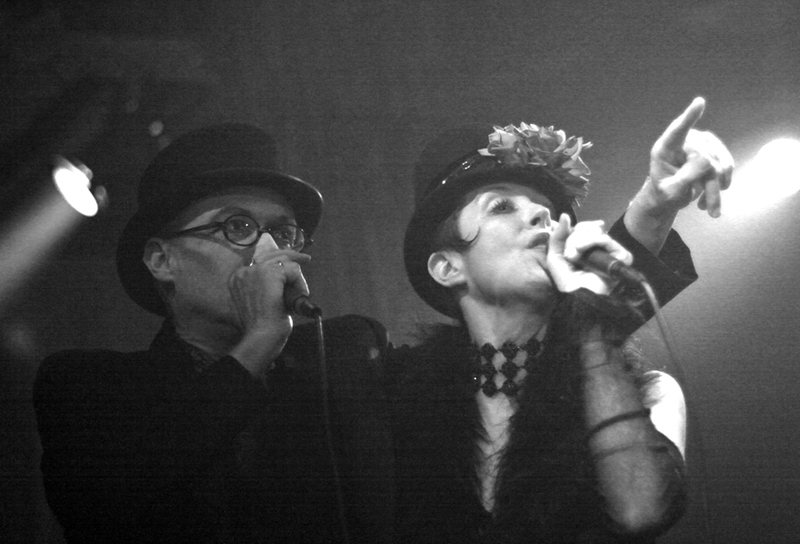 Jill Tracy is a conjuror of the enigmatic; a purveyor of the extraordinary and raconteur of dark delights. She weaves her web with delicate soundscapes, seducing us into her parlour with eerie tales, which are sinister, yet captivatingly sweet. 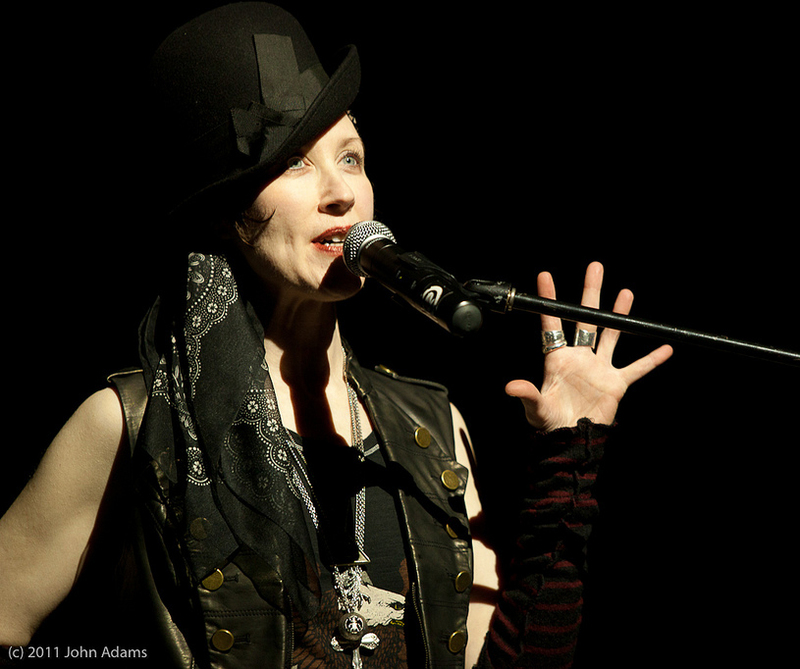 A singer, songwriter, composer, performer and all-around creative wonder, Jill has her delicate fingers in many delicious pies! 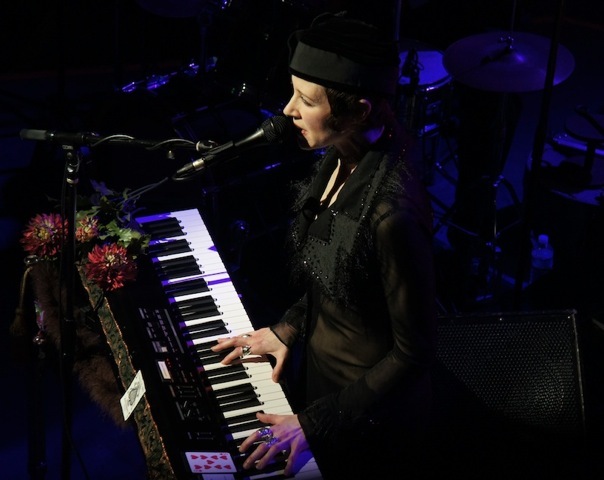 We found Jill tangled amongst a fury of live performances, recordings and music channeling: freeing herself for a moment to talk with us about some of the many projects she is currently immersed in. Your music conjures such strong impressions of the past, each taking the listener back to a different by-gone era. What do you think it is about the past that is so seductive? 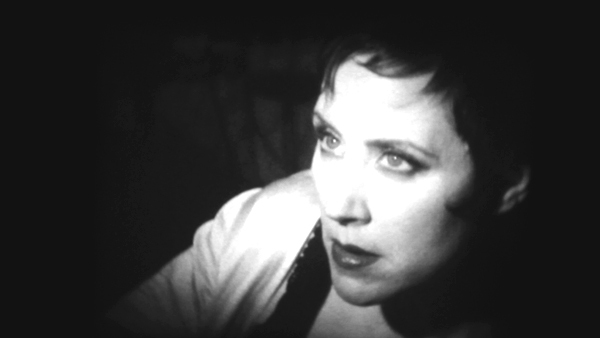 Jill Tracy: My music doesn’t evoke the Past so much as it does a sense of pure Timelessness. Transcendent of Time. That’s what makes it seductive; creating that place––familiar yet oddly intriguing. It resonates on a soulful level, but still maintains an air of the mysterious. That’s the magic music allows —like a trap door or portal, it accompanies us—to a place we never knew existed, but wish to go. I’m honored to be this gatekeeper of emotions. Throughout my life, I’ve simply followed my own muses. I’ve always just composed the score I hear inside my head. Music from the mind’s eye… To listen to my music is to know me. I have always been drawn to fantastical, otherworldly imagery. Worlds sans-time. As a child, I was obsessed with Alfred Hitchcock, Bernard Herrmann, Ray Bradbury, Rod Serling, Jean Cocteau. I just wanted to live in those worlds. I still do. 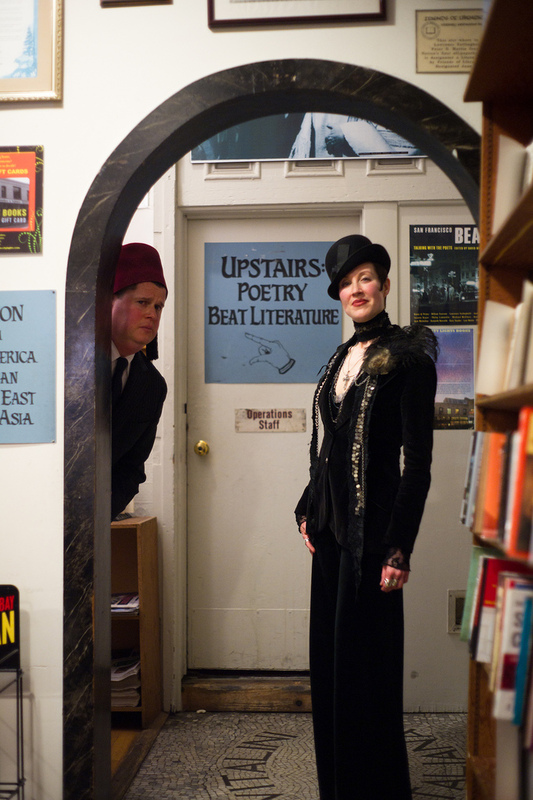 So I did the next best thing: I devoted my life to creating my own musical netherworld. 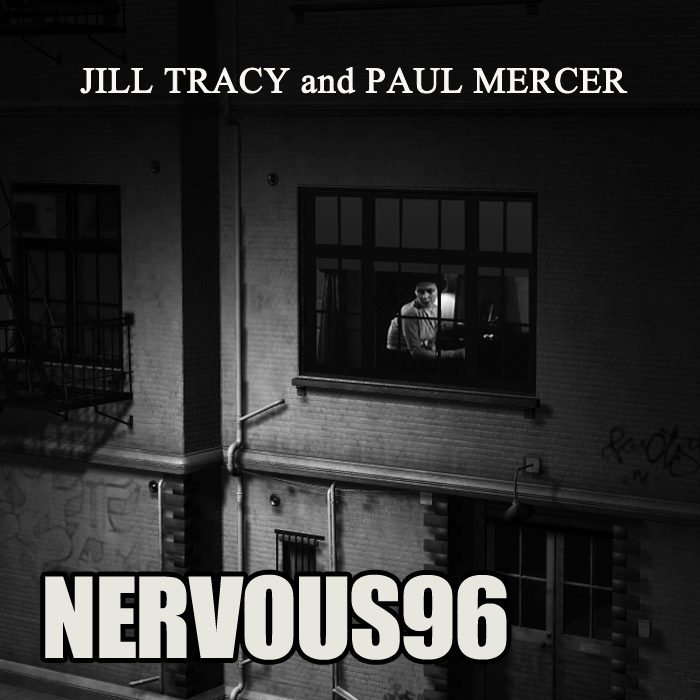 You’ve performed a number of ‘Musical Séances,’ with violinist Paul Mercer, over the years. At these events attendees bring along objects, trinkets, belongings that remind them of loved ones and you ‘channel’ live music using these possessions. What is it like to speak with the dead through music? JT: Paul and I never approach it that way. It would be outrageous and in bad taste to claim we are “speaking to the dead through music.” If anything, it’s about honoring the dead, not mocking them, or selling hokum like sideshow hucksters. 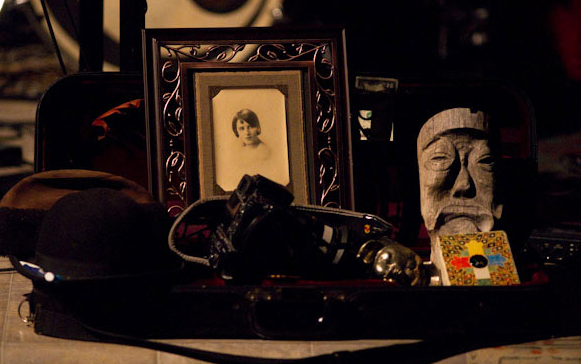 The “Musical Séance” is a collective summoning inspired by beloved objects. Quite frankly, it’s more about the present than the past, music channeled from that fragile moment captured among the living. From sentiment to sadness, frivolity and fear. It’s musical psychometry. 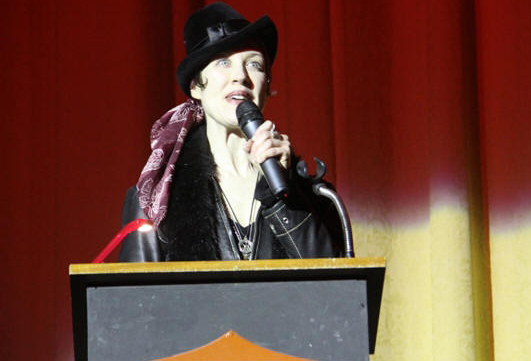 Audience members are asked to bring tokens of special significance, such as a photo, talisman, jewelry, toy. This is a very crucial part of manifesting the music. Every object holds its story, its spirit. Energy, resonance, impressions from anyone who has ever held the object, to the experiences and emotions passed through it. How did this process of channeling music evolve? JT: My music and live performances have always been so emotionally driven to begin with– I would see people sometimes crying in the front row, or they’d come up to me after a set relating how a particular song got them through a rough time, or helped them find their true path, etc. I’ve realized I’ve become a beacon for so many kindred souls. And that’s very important to me. That genuine direct connection with an audience is such a rarity these days—in a world where entertainment has become vacuous and superficial. We are about as real as it gets. It seems appropriate that you hold these musical séances when your music is so often described as being ‘haunting’ and ‘otherworldly’. Perhaps you are a bit of an apparition yourself? 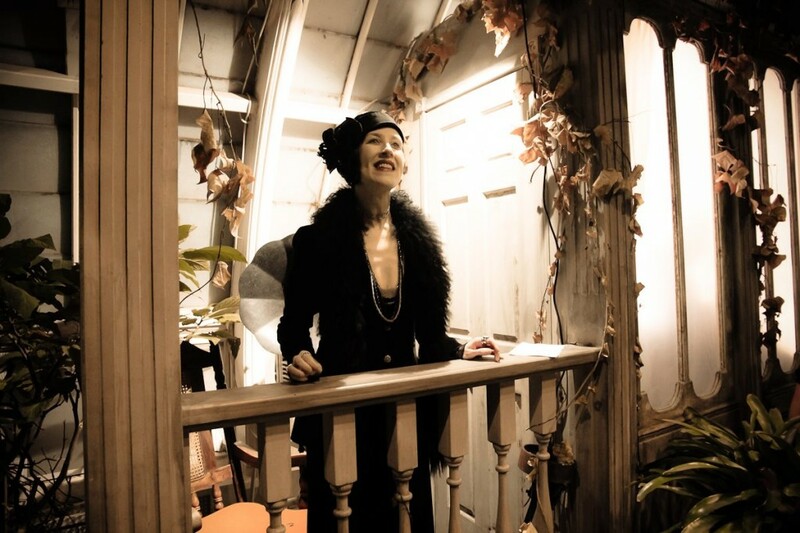 I’ve been described as a musical sorceress, evocateur, intrigante, woman of mystery, ‘dark Queen of Melancholia,’ ‘femme fatale for the thinking man.’ All of these descriptives I adore. I guess when you feel out-of-sorts with the world, you must create your own. From spiritualism to alchemy – what fine potions have you been working on by which to enchant us through another of the senses? JT: I engage such a full-sensory arc in my work. I’ve always wanted to create fragrances to correspond to the music, similar to the way we concoct visuals with each album. Why not engage the olfactory? The sense of smell is directly linked to the limbic system, the part of the brain where emotion and memory are centered! 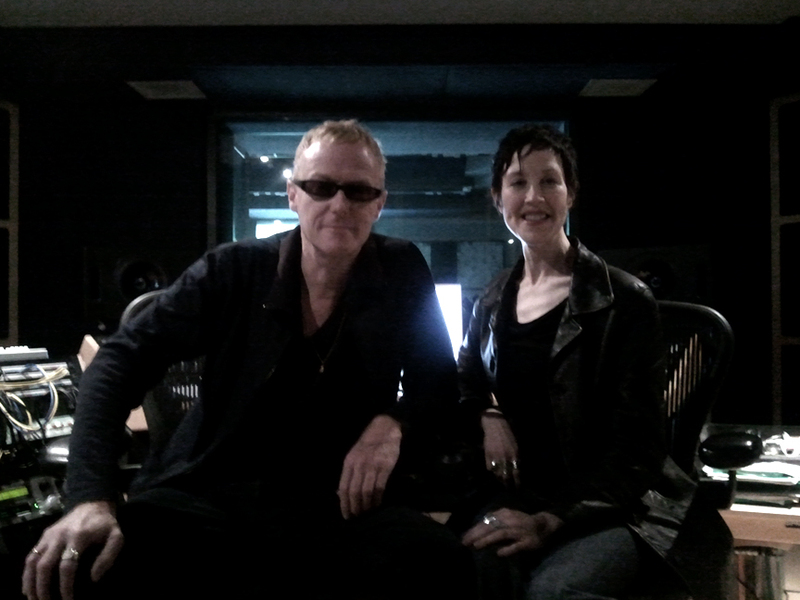 I’m collaborating with master perfumist Emerson Hart of Nocturne Alchemy. We’ve released two scents: Silver Smoke and Star of Night. I’m addicted to them already and have been wearing them constantly. More to come! It’s been so exciting and fulfilling to smell these fragrances on different skins, everyone brings their signature to the scent and it changes person-to-person. 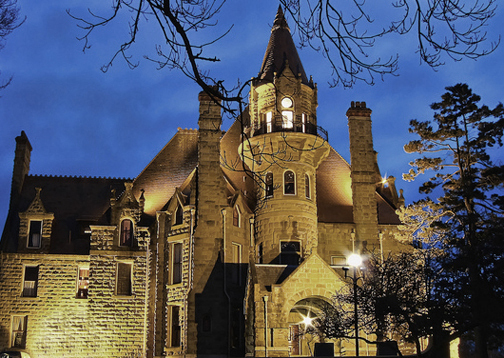 You’re currently in the middle of a new project with the Mütter Museum, where you have been invited to create compositions inspired by their collection of medical oddities. How did this come about? 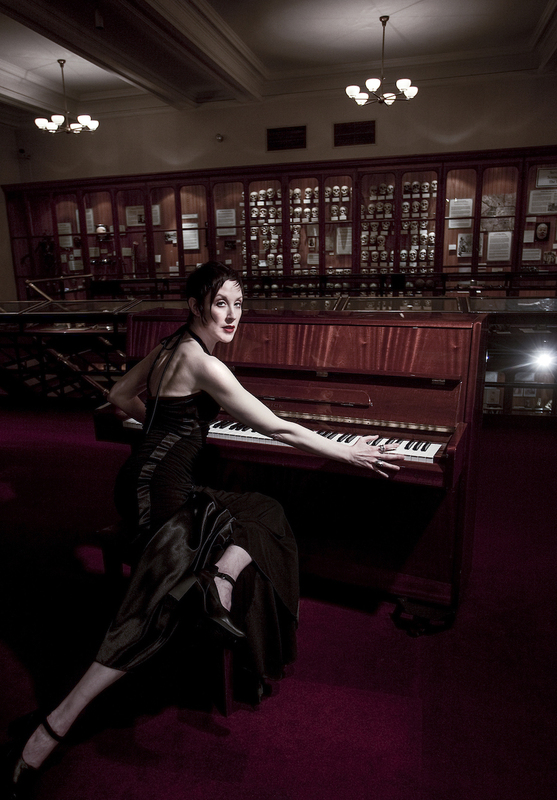 JT: Yes, I’m honored to make history as the first musician to be awarded a grant, which is enabling me to compose music inside the Mütter Museum, a series of compositions directly inspired by pieces in the collection. 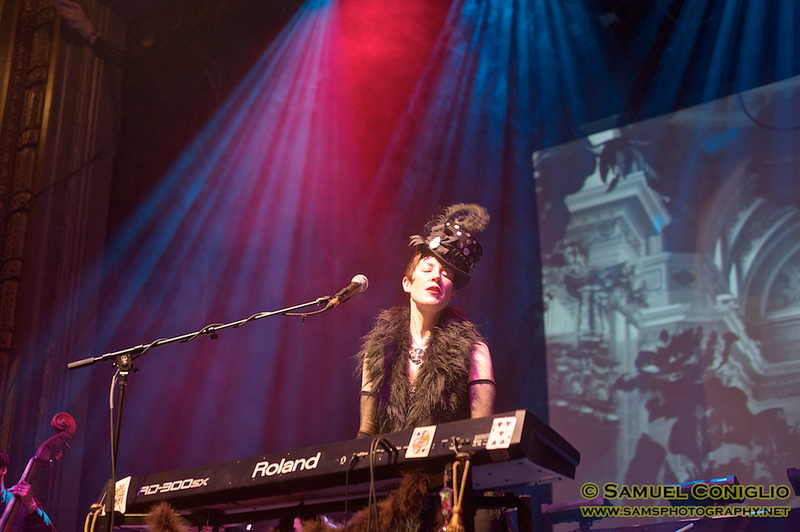 It was vital for me to be in the presence of these long-lost souls, as I composed and recorded. I needed to immerse myself in their world. There is so much lurking here. This glorious synergy– the collection of souls together from various time periods and walks of life, most who endured extreme and rare medical conditions. I needed to be with them as I composed and make them a real part of the creation. This is my gift to them. 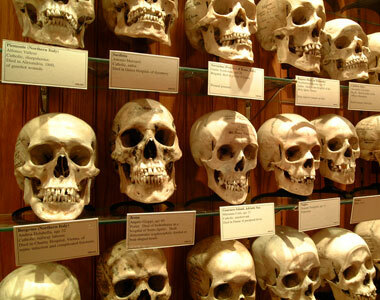 JT: The Mütter Museum has always been on of my favorite places on earth. When I first visited, I remember vividly standing on the red-carpeted steps leading down to the lower level and hearing the buzz. It was overwhelming. All these people, all these stories, together—yet apart, remembered—yet forgotten. I was swept in a whirlwind of feelings: admiration, pity, fright, shock, respect, repulsion, sadness. I just wanted to sit and listen, to hear their tales, to know them. 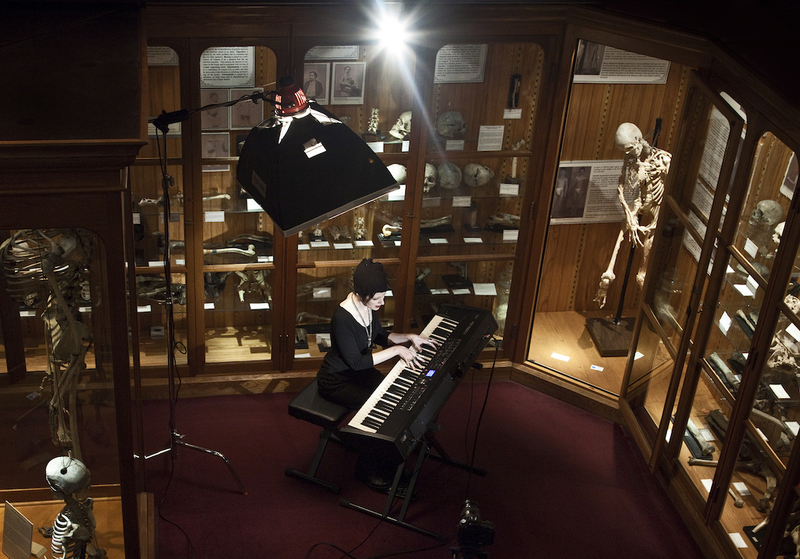 What experiences have you had so far while working within the Mütter Museum? What is it like to create music in a setting that is normally very sterile and diagnostic? But the Mütter is a different experience. It is indeed a medical teaching museum. But, Dr. Mütter’s entire point for starting the museum was to teach empathy and compassion. There lies in that a tremendous sense of marvel for me. I want to honor the emotional side, the human experience from the Mutter’s collection. 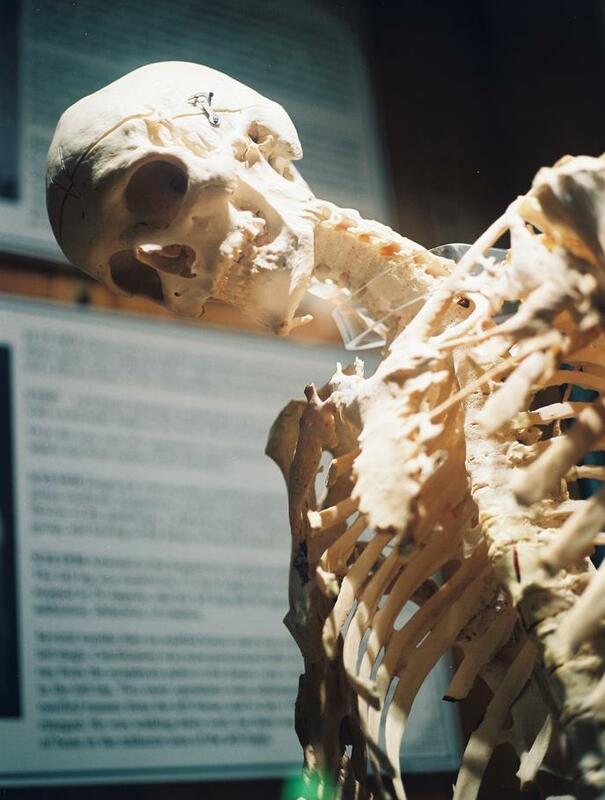 You may read about Harry Eastlack, the ossified man, whose rare disease (FOP) caused his entire body to slowly transform into bone. Young, handsome, vibrant– painstakingly trapped beneath a second skeletal cage. In the end, he could only move his lips. What was he like? How did he cope? What was his day-to-day experience? It’s unfathomable to me. I was thrilled to be able to read through Harry’s private files in the Mütter collection, letters, photos, extensive doctors’ records. One of the most moving pieces I’m creating is entitled “My First and Last Time Alone,” about conjoined brothers Chang and Eng Bunker. Most of us know them as the original Siamese Twins, gloriously renowned performers who toured the world (even appeared before presidents and Queen Victoria)—married sisters, fathered 21 children, and employed the use of a “privacy sheet.” But after doing extensive research, I was completely devastated when I read how they died. The song is about that heartbreaking 3-hour period on a cold January night. How does the musical ‘channelling’ differ from the process you go through when composing (for example, the score for F.W. 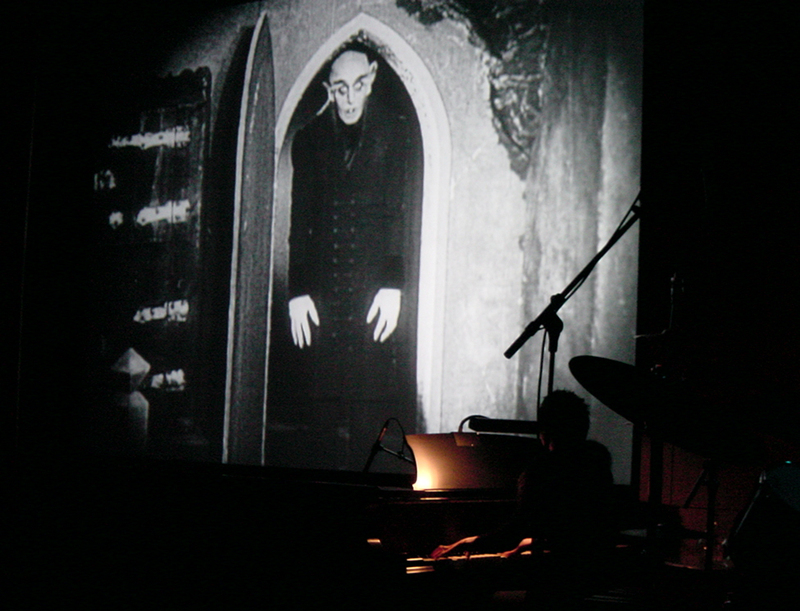 Murnau’s Nosferatu) and/or writing the songs for your previous albums? JT: It’s completely the opposite. In the case of film scoring, visuals dictate the music. I’m hanging on the visual, emotional cues–serving them. Channeling music is like jumping off a cliff. I’m not even conscious of it. It’s a visceral reaction to an energy, a sensation. 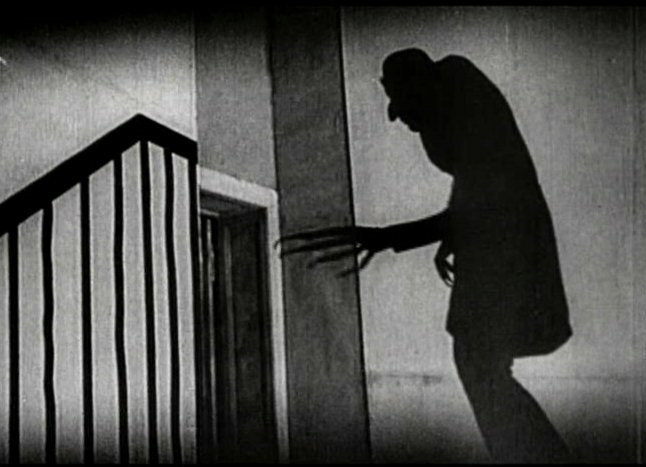 When I was scoring Nosferatu, I spent so much time in Murnau’s eerie world that the imagery would seep into the present. I remember vividly crossing a busy San Francisco street, looking down and suddenly seeing rats scurrying everywhere in a grainy, chiaroscuro haze. When writing songs for my own albums, I get to take the reins. That process is much more personal. Is there a famous figure from history you would like to try to connect with through one of their belongings? 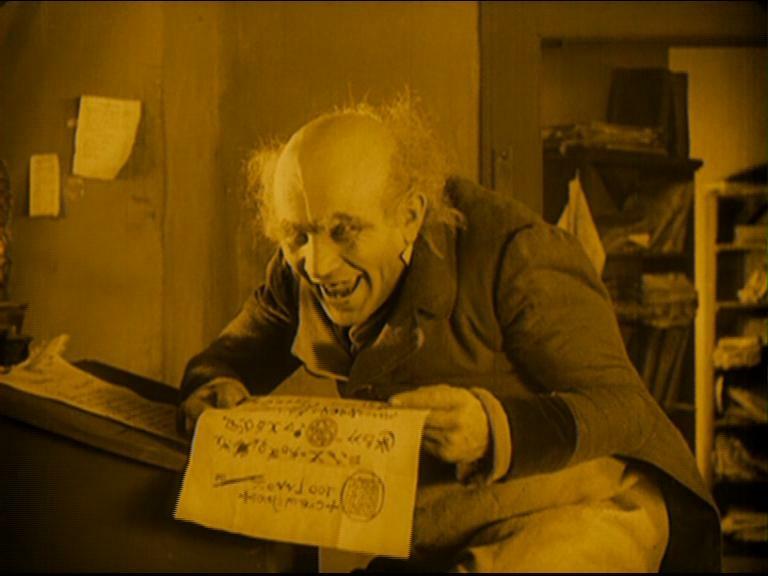 Anyone you would like to bring forth in a musical séance for your own pleasure? JT: Wow, what a fantastic question! I can think of so many great ones: Count St. Germain’s velvet cloaks, Nikola Tesla and his beloved white pigeon, Rod Serling- via his Night Gallery paintings. I’d give anything to sit behind John Bonham’s drum kit, or play Richard Wright’s (Pink Floyd) piano. Have you always been interested in history and its secrets? JT: For me it was more about the unknown rather than just history stories. I loved asking certain questions and realizing no adult knew the answer. I learned there was a much deeper level that no one seemed to be able or brave enough to tap into. I was given the book The Mysterious World when I was a child and when I first opened it, there was a picture of spontaneous human combustion. I had never heard of such a thing in my life. There’s that wonderful old photograph of Dr. John Irving Bentley who suddenly burst into flame. There’s a bit of his leg, with his foot still in a slipper, his walker, and cinders everywhere. And I’d read about toads and frogs and blood raining from the sky. Or Count Saint Germain, who was recorded to have lived for hundreds of years. He said his secret to immortality was to eat oatmeal and wear velvet encrusted with gemstones. To this day, no one knows exactly who he was, where he came from and if indeed he was immortal. Monsters, marvels, lore, and legend—these are the things that make us feel most alive. The most wonderful questions of all are the ones for which there are no answers. At Nocturne Magazine, we ask our readers to suspend disbelief and become curious again. Is this also your hope for the future, that people allow themselves to be seduced by the mystery of life? JT: Yes, I live to honor the mystery. I need to be a beacon for people, and allow them into the swampy place in their souls where the sinister and sensual meet. Peel away the layers of comfort and convention we hide behind. I find it fascinating to delve into those places and take an audience with me. Allow people to slip into the cracks, pry up the floorboards and search deeply. Believe. Imagine. It’s so important to hold on to that childlike sense of marvel. Sometimes I feel that magic and the suspension of disbelief is the only thing that matters. I remember feeling completely captivated and changed somehow when I first saw Carl Theodor Dreyer‘s 1928 film The Passion of Joan of Arc. It was at that time I procured a little antique Joan of Arc figurine, put her by my bedside, proclaimed her as one of my guardian angels. Oddly enough, a portrait of Joan of Arc appeared suddenly in the window of a neighboring stranger’s house facing OUTWARD to my street, seemingly on purpose, so I felt her protection like destiny, inside and out. 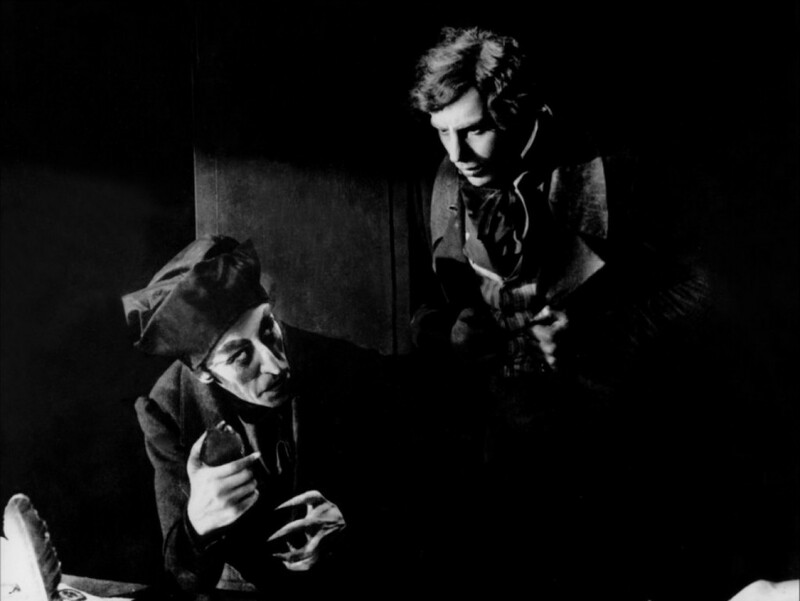 I had never even heard of Vampyr until I met filmmaker Bill Domonkos and we were in the throes of creating The Fine Art of Poisoning. Bill wanted to show me one of his favorite films of all time. 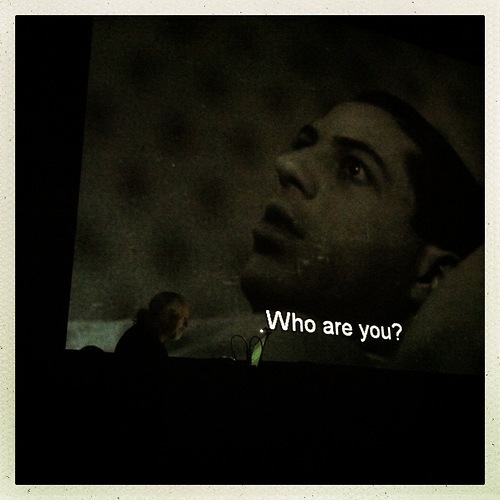 We sat on velvet cushions in his strange ornate living room surrounded by taxidermied peacocks and mounted antlers– and I was again captivated and changed somehow by Dreyer’s fragile, floating, yet terrifying, dreamlike imagery. 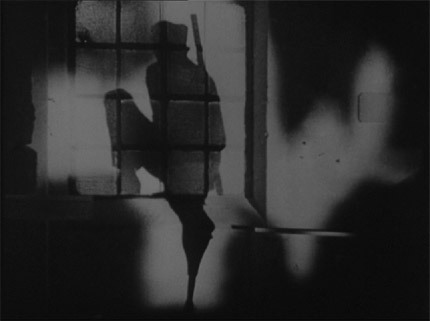 I’d never seen Vampyr on the big screen. 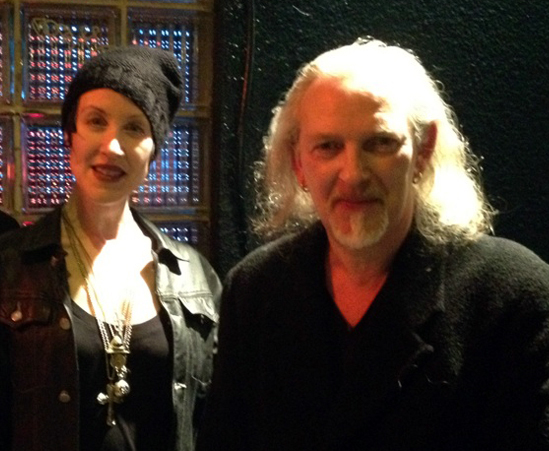 I was thrilled when legendary co-founder of Siouxsie and the Banshees, Steven Severin invited me to perform a dark piano set to conjure the otherworldly mood, and introduce his new live film score. I’d met Steven a couple of years ago at one of his film score performances here in San Francisco, and was pleasantly shocked that he not only recognized me in the crowd, but was a fan of my work! We’ve kept in touch and have discussed ways to collaborate. It’s such a gratifying feeling when artists who’ve inspired me growing up respect and appreciate my work. Siouxsie and the Banshees helped mold me into who I am today. (Steven also was the other half of The Glove with Robert Smith!) What a joy to share the stage and many stories with him! In a now dreary industry where true art is no longer valued, it means the world to me to build bridges with kindred spirits and keep our visions alive. it’s necessary now more than ever. 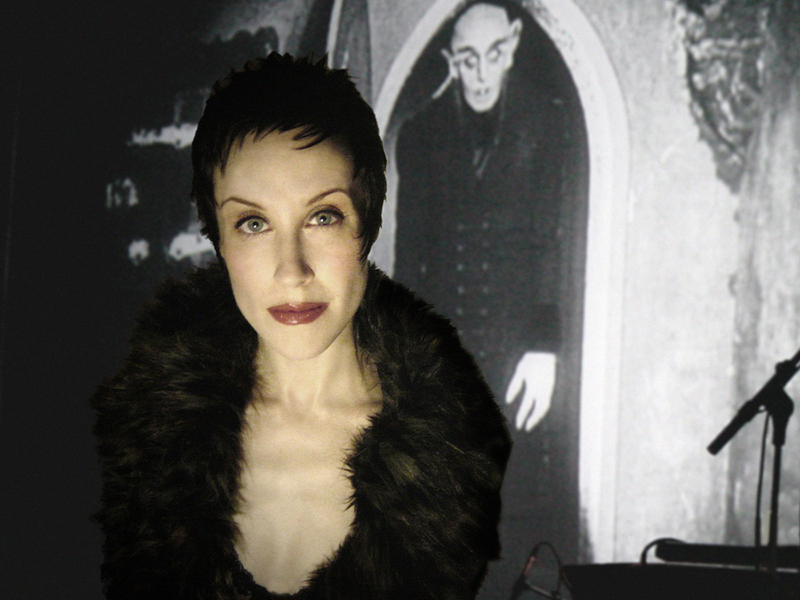 I talk more about this in a great interview with FEARnet’s Gregory Burkart HERE. 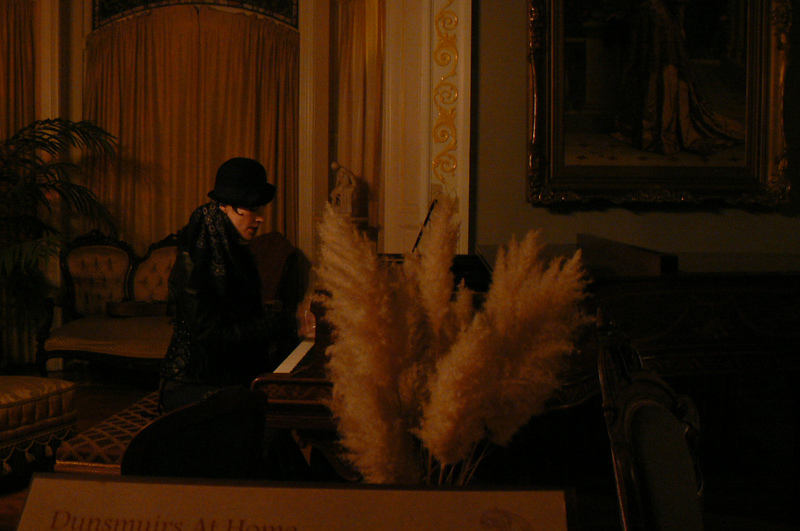 I was also thrilled at the idea of simply performing solo at the piano, 30-40 minutes of nonstop improvisation. 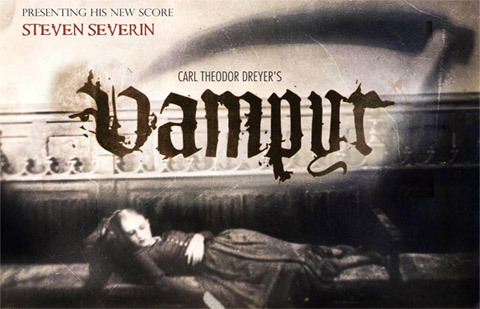 Channeling the energy of the crowd, the room and a mood befit to the allure and mystique of Vampyr. No preparation, no songs, just pure emotion, intuited, a singular archive of time. It was enchanting. Many in the audience later said they could have listened to me play like that for hours. 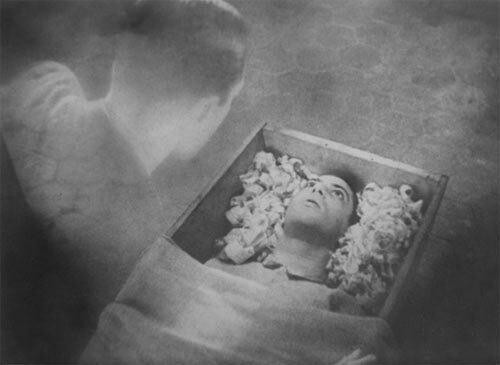 Vampyr (1932) was shot on location, as Dreyer believed it would be beneficial by lending the dream-like ghost world of the film and not have to mimic it on set. This washed out look was an effect Dreyer desired, and he had cinematogapher Rudolph Maté shoot the film through a piece of gauze held three feet (.9 m) away from the camera. I told Steven I thought his score allowed a perfect soundscape juxtaposed to the ethereal weightlessness of the film. He retained a very atmosphereic drone, but acknowlged the intensity and emotional cues, just enough to lead you there, without overtaking them. 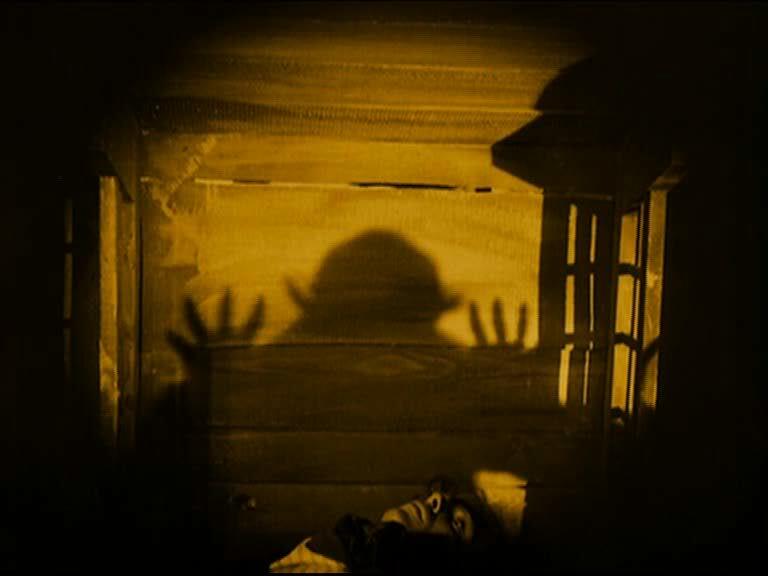 He seamlessly stayed out of the way of the film, and enabled the visuals even more of a stunning impact. 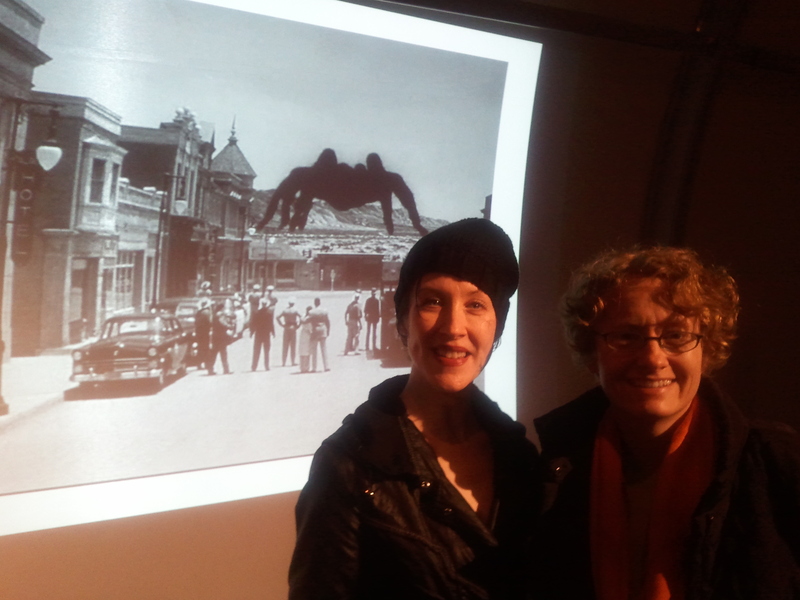 After the screenings, a pleasure to find some fellow artists in the audience: filmmaker Bill Domonkos, David J (Bauhaus/Love and Rockets), photographer Jeremy Brooks and others. The notorious local movie writer Jason was in the front row. you can read his review of the night HERE.